You have the ability to review Reports based off of your Payroll Data, this guide will show you which reports are available in Microkeeper. 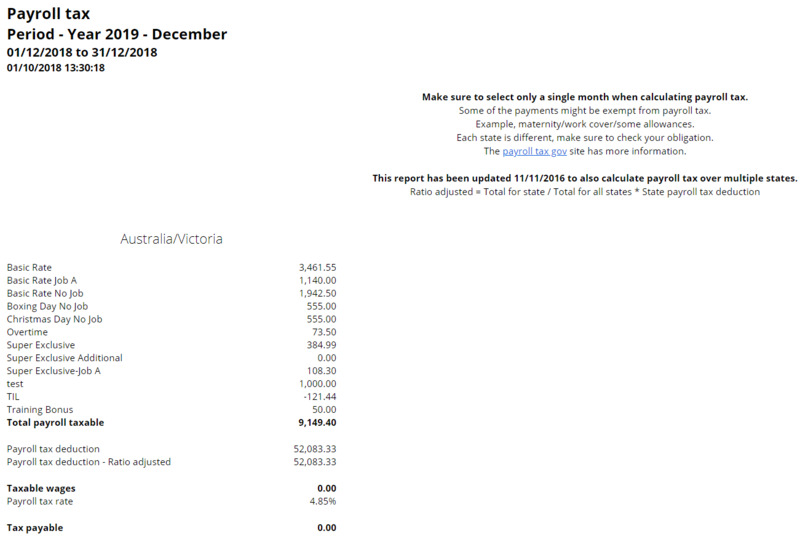 Before selecting a report you may want to select a time period, if not specified the system automatically will select the most recent Payment date to report on. It also displays which specific Runs you have within your specified filter. This report is each employee, and their total Cost To Business, Employer Super, Super, Additional Super, Total Expenses, Gross Taxable, Taxes, Net and Hours total for the period selected. This report contains, a more complex breakdown of the Payroll, listed by employee. It contains a breakdown of all the below Costs and Hours. Displays the Gross Taxable, Employer Super, Salary Sacrifice, Employee Super, Tax, Net Basic Hours, Overtime Hours, and total hours, separated by each pay run over the period selected. Displays the total Gross Taxable Employer Super, Salary Sacrifice, Employee Super, Deductions, Tax and Net, separated by Run. Displays all individual payslips for the Selected Period. This provides a summary of all deductions within the selected period, sorted by Title. Eg Child Support. Lists all employees and the amount of super paid within the selected period, by Fund. This page is also used to Pay Super when HTML is the Format selected, please visit the Processing Super Guide, for more information. This report provides an estimation of the Payroll Tax over a monthly period. 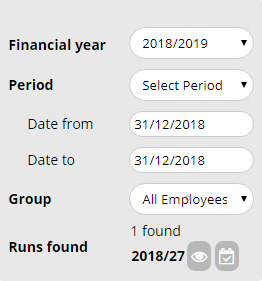 A list of your employee’s and the change in their Pay-Rate from within the current Pay-Runs over the selected period. A breakdown of entitlements accrued by employees over the selected period. Including How many hours were accrued each payrun. A summary of your employee’s entitlements by employee, then Opening Hours, how much was accrued during the selected period, the hours taken, the available hours and the Value. You can export the Timesheet data as a CSV and review or import that data as required.